Until recently, it cost just $US750 to ship a 20-foot container of goods from East Asia to the U.S. West coast. 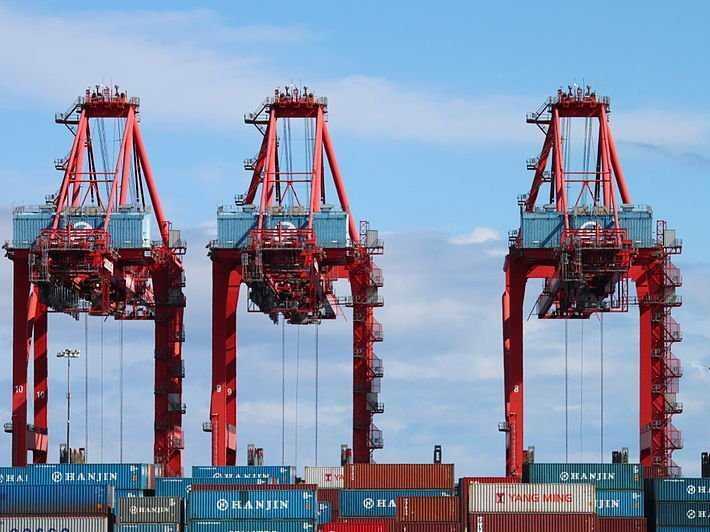 But that cost has been rising due a labour conflict between the 20,000 workers of the International Warehouse and Longshoreman’s Union and the Pacific Maritime Association’s 29 ports on the West Coast. A collective contract expired July 1, and workers have been engaging in a work slowdown since. The port of Tacoma, Washington, for example, is moving just 10 to 18 containers per hour, compared with a normal rate of 25 to 35, according to Credit Suisse. And the slowdown is spreading to the ports of Los Angeles and Long Beach, which handle 20 per cent of the nation’s traffic. Retailers are less than thrilled at the prospect of shipping delays heading into Christmas. Some shipping companies are adding surcharges for delays of between 75 and 100 per cent of the cost of delivery, and truckers at the Long Beach and L.A. ports are charging more as well. But somebody’s bad news can be somebody else’s good news as well: Credit Suisse says the troubles will offer a competitive advantage to importers that ship goods to East Coast ports or by air.